Henley continued to show their championship-winning credentials after a hard-earned win at Tring Park, a game in which skipper Michael Roberts broke his own league record with a poised 160*, helping extend his team’s lead at the top of the HCPCL Division 1. Although the game may well be remembered for this feat, what will stand out to the Henley faithful was the way in which the 1 st XI managed to take 10 wickets and get over the line on what was a relatively placid pitch, something which eluded them in the very same fixture last year, illustrating how this side has grown over the past twelve months. On what felt like the hottest day of the cricketing summer thus far, the home team won the toss and decided to bowl on a typically slow and low Tring deck. Although on the face of it this seemed to be a slightly negative tactic, with stand-in skipper Payne perhaps prioritising some points over going for the win, their decision appeared justified. In just the fourth over of the game, after a few beautifully played front-foot drives, Rowe carved a wide wall to point off the feisty Woodland, who lead the charge ensuring Henley had to battle its way through to 37-1 after 10 overs. Despite the seemingly ageless Stanway keeping things quiet from the Pavilion End, with thanks principally to Waqas Hussain and his wide repertoire of shots, Henley managed to slowly build momentum before drinks, with Roberts accumulating steadily at the other end. Hussain was particularly strong against Tring’s seam attack, driving off the front and back-foot with ease. He reached his 50 with minimal fuss, and looked set to go big, before offering an easy return catch off the erratic leg-spin of Australian Coleman-Ohrynowsky for 66 off 71 balls. Hussain’s departure however did nothing to prevent Henley from motoring to 159-2 off 33 overs at lunch, with Roberts continuing to quietly go about his business in partnership with the more aggressive Morris, who ensured Tring’s spinners had nothing more than hunger to take with them to the break. After lunch, Morris showed his intent with a couple of trademark maximums off the Tring spinners. However having serenely passed the fifity-mark, he was run out, looking to pick up a single off a mis-field at cover. Skipper Roberts, although arguably at fault for the run-out, was able to remain focused on the task at hand and not long after, brought up his third and certainly most workmanlike hundred of the league season. However having lost Woods cheaply and with some time left to bat, Henley needed to ensure they made the most of their platform and the introduction of the athletic Davison increased the tempo of the innings dramatically. Perhaps too tired from his partner’s desire to run between the wickets, Roberts took the boundary route and went from 100 to 160 in just 29 balls, before declaring on an imposing total of 327 from 57 overs. Roberts’ 160* is the highest score by a Henley player in league cricket, with the Henley captain surpassing his previous record of 155 made against Horspath in 2015. Regardless of the amount of runs on the board, the declaration games mean that only bowling performances out of the proverbial top drawer lead to victories for teams batting first. 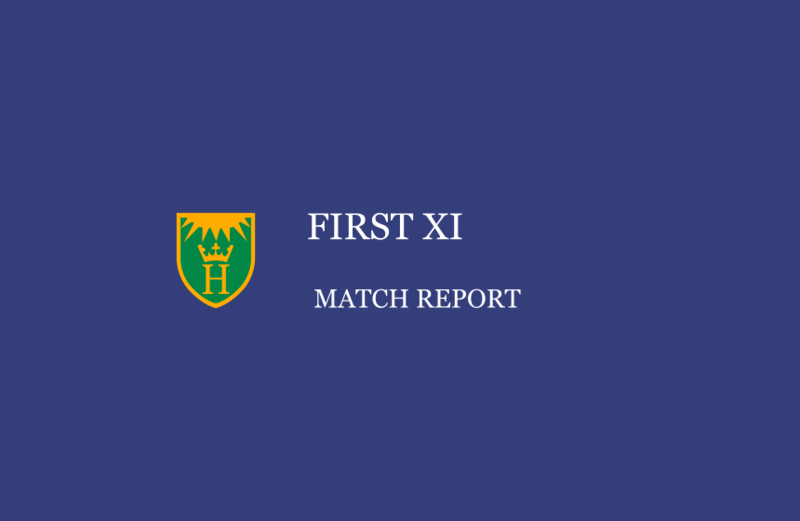 Last season, Tring held on for a draw, nine wickets down, thus Henley had something to prove and despite an indifferent start with the ball, Henley rallied and showed skills and character in abundance. Afridi accounted for Dixon early, bowling a beauty which the batter did well to nick behind to Davison. But for the next 20 overs, Tring looked comfortable, and cruised to 86 without any real danger. As is always the case though at this level, when the spin comes on and batters are required to stay at a certain run-rate, cracks start to appear in more fragile batting line-ups. And so it proved here, with Ashraf continuing his wonderful form with the ball this season, snaring both Payne and Woodland, caught at slip and by gloveman Davison respectively, leaving Tring on 104-3 off 25 at tea. On the resumption of play at 5:20pm, with the Henley players grateful for a light breeze coming across the ground, the heat remained well and truly on for Tring Park, who were beginning to look more and more vulnerable. Overseas player Coleman-Ohrynowsky was soon caught behind by Davison off the threatening bowling of Brock for a busy 27. Although next man in Rimmington showed some intent to stay somewhere near the required rate, Ashraf proved too good again, provoking a poorly executed cut which was edged to Rowe at slip. Club captain Gumbs, who played nicely for his 50, then hit a ball from Woods into the hands of Roberts at short cover, leading to an intense final 15 overs.